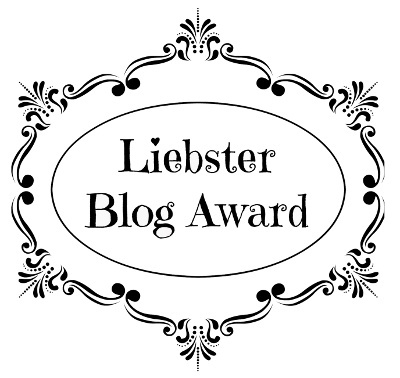 The Liebster Award can be given to any blog that has less than 200 followers. You can opt in or out. Either is completely fine. Here are the unoffcial rules for the Liebster award. 1. Thank the person who nominated you and post a link to their blog. Thank you Angie!!! 2. Display the award on your blog. Sure have! 3. Answer 11 questions about yourself, provided by the blogger who nominated you. *read below* 4. Provide 11 random facts about yourself. *also read below* 5. Nominate 11 blogs with less than 200 followers that you feel deserve the award. So many wonderful people! 6. Create a new list of questions for your nominees. Hmmmm… 7. Post these rules on your blog post. Done! 8. Tag your nominees and let them know with a link to your post. 1. What prompted you to start blogging? I’ve always wanted to start a blog, hoping to find people that are going through similar things to me. I think also, that my therapy had a big influence on me starting this blog. I had become a lot more confident and less alienated by my OCD and I wanted other people to feel the same too! 2. Do you have a favorite post you’ve written (and, if so, link us to it)? Probably ‘My OCD Jenga’ that I wrote back in October 2013. 3. If there was one thing that you could change in your past, what would it be? Probably isolating myself from all my friends for a long period of time. It was just feeding my OCD ect and despite me thinking it was the best thing to do, in reality it only sent be spiraling lower. 4. What is the one “takeaway” you’d like readers to get from reading your blog? That you’re not alone! 5. Share a funny moment. Probaly when I fell straight into a waterfall…I wasn’t best pleased. 6. Who, or what, inspires you? So many things! The online community, I’ve met some amazingly phenomenal people through the internet who I’ve become great friends with and care so much about. My therapist inspires me too, she really really does. 7. If a movie were made about your blog, who would star in it? My therapist of course! Probably also my Mum, a few of my friends and the online OCD community definitely! It would be a small but mighty cast. 8. Dark or milk chocolate? Milk! 9. If you spent a week in outer space, what would you take with you? My camera, can’t miss an opportunity like that. 10. What’s your favorite non-blogging hobby? Probably either Scuba Diving or Triathlon! 11. A long lost aunt leaves you a large sum of money. What do you do with it? Put the majority away in a bank, boring I know! Probably go on holiday somewhere, buy my mum a cottage in the Lakes because that’s what she’s always wanted and donate some to OCDAction, OCD-UK & OCDNI! 1. Lasagna is my favorite meal. 2. I’ve never been to a concert before. 3. I have a roborovski dwarf hamster called Turbo. 4. I’m the social media officer for OCDYouth. 5. I would love love love to visit America one day. Especially maybe attending the IOCDF conference. That would be a dream come true. 6. Dance Moms is my favourite TV show. 7. I get overly excited when there’s profiteroles on a menu. They’re so good! 8. I’m obsessed with making loom band animal. It’s an addiction. 9. I haven’t flown on an aeroplane in 11 years and in 8 days time that’s all about to change! 10. I’m an official PADI open water scuba diver. 11. I also train for triathlons and hope to do the colour run and the Blaydon Race next year. Jessica is one of the most amazing, spectacular, awesome people you will ever meet. We met through an OCD group on Facebook and she honestly is just fab! She’s helped me through so many things! (Also protests for more sock shops :D) 2. DreamsToBeAnxietyFree Emily has been so lovely to me, she’s always there to offer advice or help me out whenever I find myself in a bit of a struggle. Her blog was one of the first ones I’d come across and was one of the main reasons I started blogging! 3. neuroatypicalwonderings Charlie is 16 and writes in the most eloquent way that I’ve ever seen. He conveys his thoughts and ideas so well and he’s such a lovely person to talk to. He also helped me with the “Think like a proton, always positive” post also! 4. SymptomaticallyOCD Laura is honestly inspiring to me. 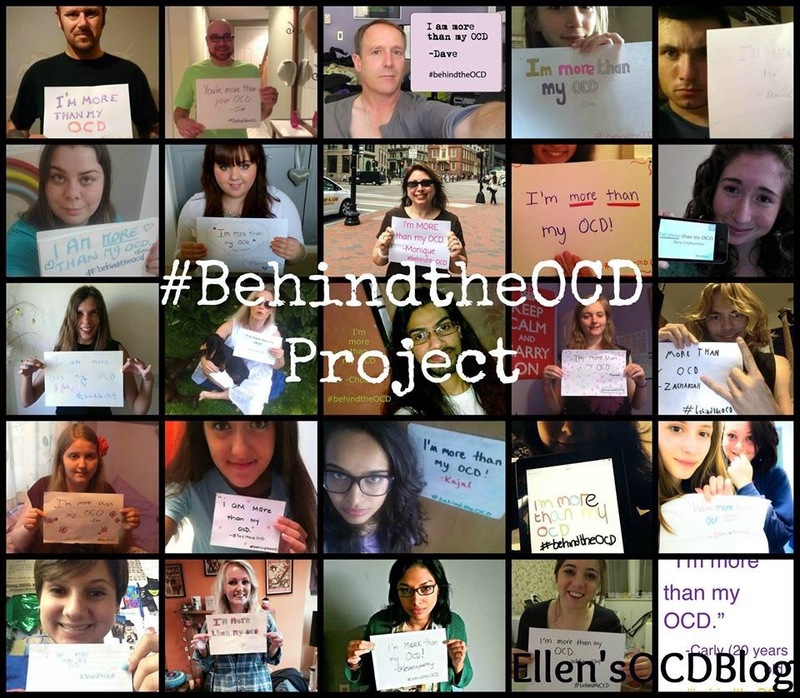 She has created the charity OCDNI and put together a group on Facebook where OCD sufferers can go get advice, share successes, or really anything! The community that has been built is so lovely and welcoming. 5. FightAgainstOCD Shania is such a lovely person, her blog truly radiates her passion and her strength with both raising awareness and battling OCD. 6. StephanieWetherhill Stephanie writes such an informative blog that helps educate so many people on different areas of mental health. I have definitely learnt many things from reading her blog! 7. InsideMyMindofOCD I met Harriet through Twitter and she’s such an awesome person, she too suffered from OCD and has created her blog to share her experiences in a very powerful way. She’s just simply and amazing person. 8. StressesandDresses Anna is really dedicated to her blog and I love reading very post she publishes, especially the ‘Feel Good Friday’ posts! She definitely deserves this award. 9. Compulsivflyer Steve really captures the meaning of OCD. I know is blog is lived by many (including me!) and I hope he never stops doing what he’s doing! 1. What’s your favourite Ben & Jerry’s flavour? 2. What would you say to your past self? 3. What do you hope to achieve/gain from blogging? 5. What would be your dream sport to pursue? 6. Reason behind your URL/username? 7. Marmite. Do you love it or hate it? 8. What/where would be your dream holiday? 9. Where would you like to see yourself a year from now? 10. Where do you get your ideas for your posts? 11. What do you love?! Congratulations on your award, Ellen, and keep up the great work you are doing!